On today’s episode of “Road to Omaha,” KVNO’s Brandon McDermott spoke with Oral Roberts head coach Ryan Folmar. Omaha, NE – Oral Roberts ran away from the competition in the Summit league this year losing only four games. Oral Roberts has knocked 67 homers this year (18th in the NCAA) – more than three times than the 2nd team in the Summit League Conference. On the other side of the coin, the Golden Eagles have 120 more strikeouts than the 2nd team in the conference, good for 23rd in the NCAA. 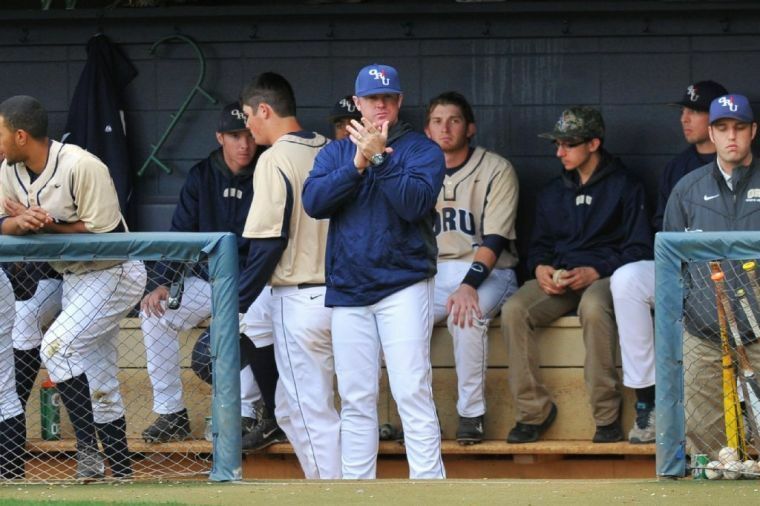 Oral Roberts head coach Ryan Folmar said balance is key to success in baseball – his team certainly has had great balance this year. They weren’t slouches in non-conference play either. They beat Wichita State, Dallas Baptist, Alabama, Oklahoma, Oklahoma State – that shows the region the country what kind of team Oral Roberts is this year. After winning the Summit League tournament, the Golden Eagles drew a #4 seed in the Fayetteville Regional. In the opening game last night, ORU lost 3-0 to Arkansas. They take on Oklahoma State today at 2 p.m. in an elimination game.